If you have a pest problem in the Cape Town area or if you simply want a general pest treatment for preventative measures, contact Eradipest Services for a FREE quotation! We service all areas of the Cape from the Southern Suburbs through to the Northern Suburbs as well as all other surrounding areas within the Western Cape. We pride ourselves on our fast, effective and reasonably priced services. 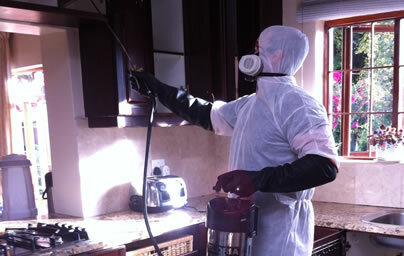 We have pest control operators ready to help wherever you may be in the Cape! All of our treatments are thorough and nothing is overlooked. With our swift response and top rate treatments, we can keep your home or business pest free, guaranteed! There are many pests in Cape Town which Eradipest Services keep at bay using eco-friendly pesticides derived from Chrysanthemum flowers. Eradipest Services based in Cape Town, South Africa, provides each individual with professional and effective pest control solutions which ensure the health and hygiene one needs in order to live and work in a safe, hygienic, pest-free environment. 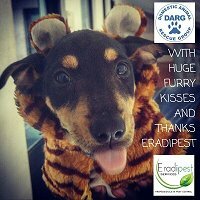 Eradipest Services focuses primarily on the control and eradication of pests common in South Africa and particularly in the Cape, using only environmentally friendly products which are approved by the Department of Agriculture, Act. 36 of 1947. Eradipest Services is family owned and operated ensuring all aspects of the job are carried out to perfection, allowing nothing to be overlooked. Our trained technicians are equipped with the expertise and experience in residential, commercial and industrial sectors throughout the northern and southern suburbs of Cape Town to solve common pest problems as fast and as effectively as possible. While focusing on eradicating your pest problem, we also recommend implementing an IPM program (Integrated Pest Management), where both the client and Eradipest Services are involved with creating a healthier and safer living environment and eliminating further pest infestations. Eradipest Services provides a completely specialised pest control solution for each individual in the Mother City as not every pest problem is identical. There are many different aspects to take into account such as how long the problem has been evident, establishing where the pests are entering from, their main harbourage sites, the environment in which the pests are being treated and of course prevention of any future infestations. Eradipest’s technicians are extremely knowledgeable on South African common pests such as rats, mice, wasps, fleas, ants, German cockroaches, American cockroaches, bed bugs and many more! Eradipest Services technicians and employees have over 35 years combined experience in the pest control industry and therefore have vast knowledge of Cape Town’s pests. Going green and being Eco-Friendly is becoming increasingly important every day globally but especially here in South Africa where we have a diverse eco-system. Eradipest has combined the need to “go green” with the need for pest control by implementing our low-impact pest control methods. Our eco-friendly pest control methods are unique to each individual client in order to safely yet effectively rid your premises of harmful pests, while avoiding any harm to beneficial organisms such as Bees, Earthworms, Ladybugs, Birds etc. This allows us to rectify numerous pest problems using limited pesticide applications through the use of insect specific baits, various exclusion techniques and focusing solely on Cape Town’s most despised pests without harming the environment. Make your pest problem Eradipest’s problem! Contact us now for a FREE quote! Copyright © Eradipest. All rights reserved.